Ozera Rocket Popsicle Molds Ice Pop Molds Only $5.99 (Reg. $25.99)! You are here: Home / Great Deals / Amazon Deals / Ozera Rocket Popsicle Molds Ice Pop Molds Only $5.99 (Reg. $25.99)! Do your children love eating popsicles? Right now you can get this fun Ozera Rocket Popsicle Molds Ice Pop Molds for only $5.99! Ozera ice pop molds are made of durable BPA free plastic, LFGB and SGS approved. 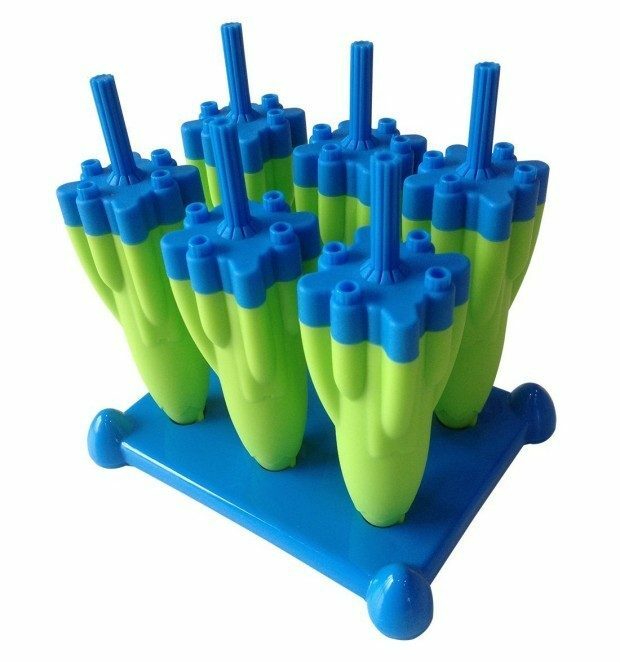 Ozera popsicle molds are designed for easy cleaning and use, the classic pop molds feature 6 removable molds and 6 sticks with drip guards to keep hands and clothes clean. The smartly designed shape make it easy for frozen pop to slide out of mold, just lift individual molds from base by pulling pop stick and unmold under warm water to release pop. The sturdy base of the ice maker trays measures 6 x 5.5 x 4.5 inches which keeps pops from tipping while freezing, after frozen individual pops fit neatly in freezer to save space. Ozera ice pop maker is a perfect way to save money by making healthy freeze pops with transforming juice, fruit, yogurt, and even pudding into delicious frozen snacks; your home made popsicles will delight the kids and their friends with their unique shape. Easy to use and clean, dishwasher safe, green.